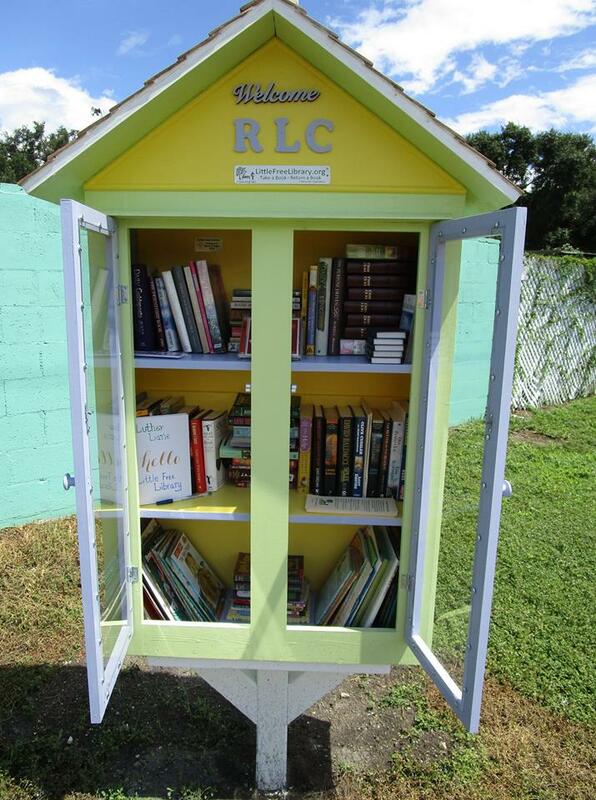 We have a library at Reformation in Orlando and we love the community outreach it brings! Our library was designed, made and painted by members of Reformation. Members bring in books to put in the library, and as word has gotten out, community members now donate to it as well. 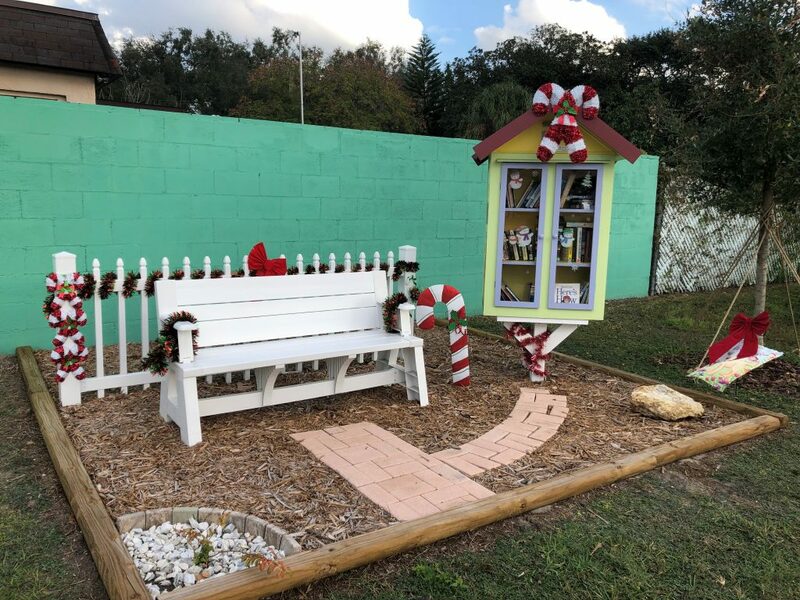 It is called the “Luther Lane” Little Free Library (that is the name of the road it is on). We are along a busy road where kids are walking to school, pet owners walking their pets, people out walking and just curious folks are walking by. 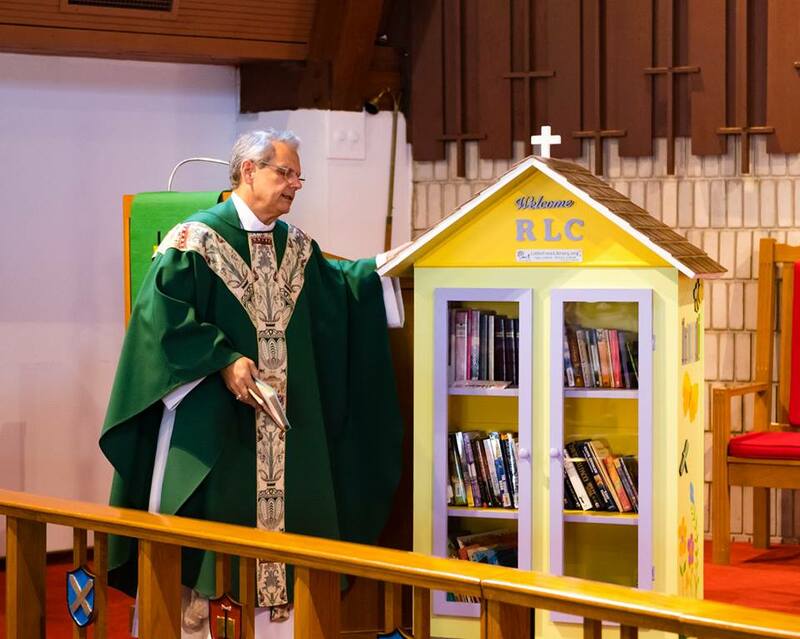 The library has 3 shelves: one for kids, one for general books and one for religious items such as devotionals and Bibles. We encourage them to keep the Bibles, but the other books are returned and exchanged. There is a bench located by it, and we planted a tree for shade nearby. We plan to add a community bulletin board to the back of the library. With easy access by car or walking, people just love to stop in and get a book or two. Recently I talked with a lady in the neighborhood that says she stops by once a week while out walking to get a new book and really enjoys the devotionals we put in it! She even said she saw some bookmarks on sale and so she got them and put them in for others to enjoy. 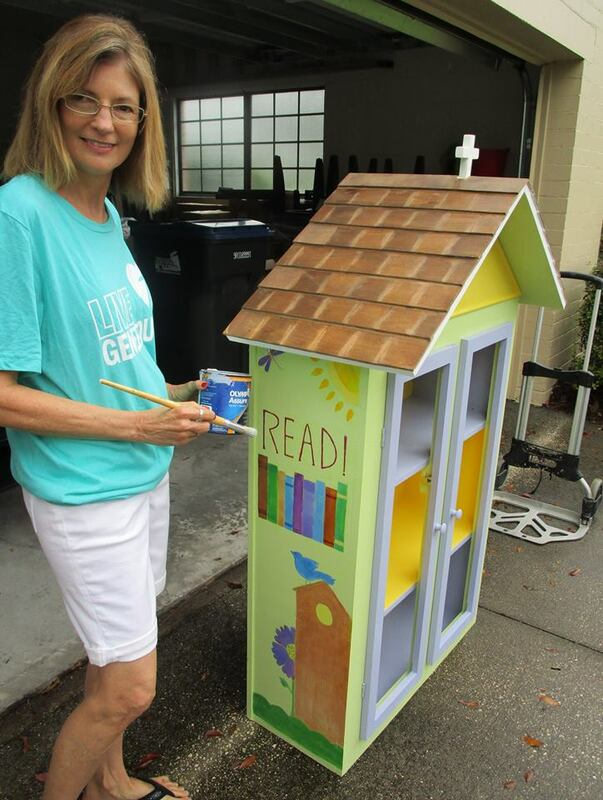 We registered with the National Little Free Library organization as well, that send tips and good advice for the library. Chris Robinson painted the whimsical pictures on it, and Pastor Rob Cosmas blessed it before we put it out. This is truly God’s work. Our hands. Blessings! !